“Previously on Morpheus Soul” On this special extended edition of the show, we welcomed a very special guest to the Itch FM studio. 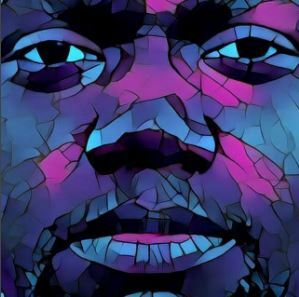 All the way from St. Louis, Missouri via Los Angeles, the multi talented musician and producer I, Ced appears LIVE & DIRECT on The Morpheus Soul Show. We feature the fantastic music of I, Ced throughout this episode, as well as chatting with him and introducing him to our listeners, plus; the world famous “Morpheus Soul Jam Session” featuring The Temporary Residents very own ‘Lyrickal’ alongside today’s special guest is at the top of the hour and it’s off the chain!! This week’s show also dropped more of the very best in progressive soul & hip-hop featuring the incredibly dope sounds of Union Analogtronics & Blu, The Pendletons, Children Of Zeus, Marvelous Mag & Shabaam Sahdeeq, Coultrain, Black Spade, Zion I, Jimetta Rose, Hawthorne Headhunters, Lenzman, Mickey Factz & Nottz, Q-Tip, Divine Council, Suzi Analog, The CrossRhodes, Erik Rico, Like (Pac Div), Quelle Chris and Dam-Funk.